If Liverpool are serious contenders for the Premier League then Jurgen Klopp's side need to lay down a marker by beating Tottenham this weekend, according to Ian Wright. Table-topping Liverpool take on Spurs at Wembley Stadium on Saturday lunch-time - a match you can see live on Sky Sports Premier League - looking to maintain their winning start to the new campaign. 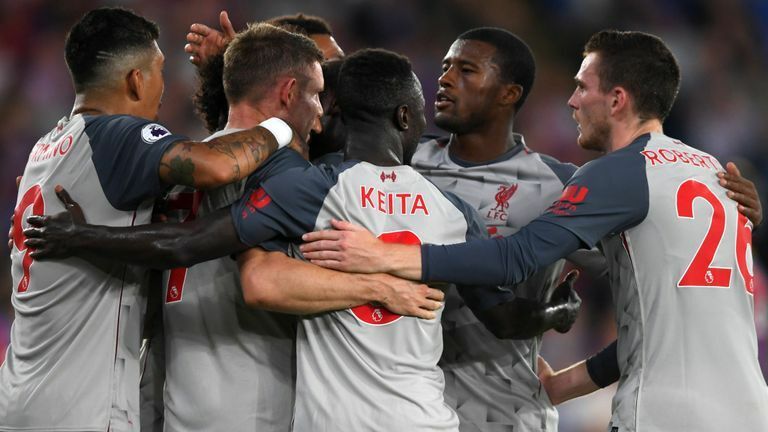 The Reds have so far justified their pre-season billing as one of the teams most likely to challenge champions Manchester City for the title this season, and head to the capital as just one of three sides, along with Chelsea and Watford, to have won their opening four league games of the campaign. As a result, Klopp and his side will be confident of making it five straight victories this weekend, Wright told The Debate. "I tipped Liverpool and I'll continue to say that because of the way they strengthened," the former Arsenal and England striker said, when asked whether Spurs or Liverpool can win the title this season. "Up front they are just as good as last season if not better. [Sadio] Mane has started the season very well and I don't even think [Mohamed] Salah has kicked into gear yet. "There's still so much to come and they know it. They are just easing into it at the moment and it's going to be very exciting. "In the dressing room, it's a game they'll believe they've got to be winning or definitely not losing." Danny Higginbotham, meanwhile, is backing Liverpool to get the better of Mauricio Pochettino's side on Saturday, believing it is the type of contest that will suit the visitors. "It's a game that suits Liverpool with them playing away," he told The Debate. "They are one of the best counter-attacking teams in Europe. "The onus is also on Tottenham after their result against Watford so I think Liverpool will be comfortable in giving Spurs the ball, but when they win it back they'll get at them. "Tottenham will have to be quite expansive because they need to get the win."